It had been talked about all through the Isle of Man TT practice week. Would we see a 134 mph lap during this TT fortnight? It didn’t take long to get the answer, with Dean Harrison breaking the 134 mph barrier with his opening lap of the Superbike TT race…from a standing start. 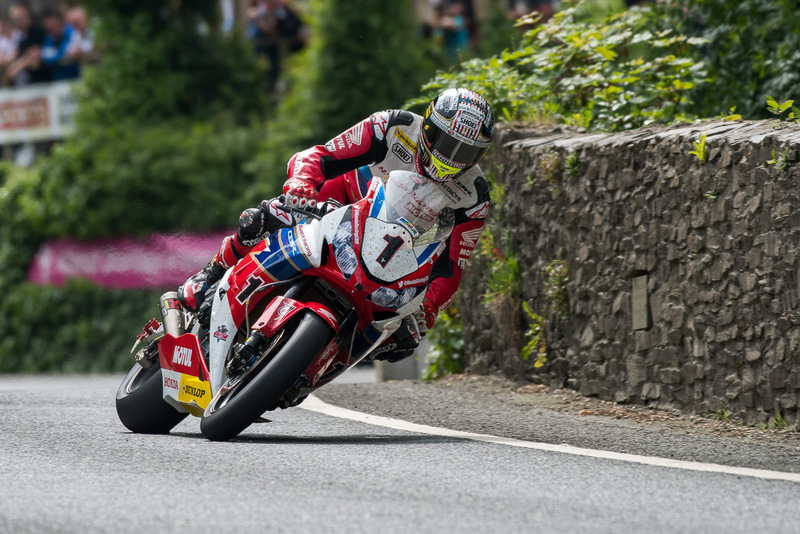 With Michael Dunlop and Peter Hickman in tow, it seemed that the podium positions were a lock from the early sector times, but the six laps of the Superbike TT race proved to be a trial of miles for these road-racing gladiators. There is no greater challenge in motorcycling racing than a superbike race at the Isle of Man TT. Wrestling over 165kg of hulking, brooding machinery around this legendary circuit is a challenge unlike any other. For today’s RST Superbike race has the potential to be a six lap classic. With stunning weather throughout the week, there’s been plenty of time to get bikes setup, and complete lots of laps on the course, so plenty of riders have already set their fastest ever laps during practice week. As a result, a group of riders are primed to bring the challenge to Michael Dunlop. The Northern Irishman may be the prohibitive favorite with the bookmakers, but he’s had a difficult practice week. It is with a heavy heart that we report the passing of Dan Kneen, who died from the injuries he sustained during Wednesday’s Superbike qualifying session for the Isle of Man TT. The 30-year-old Isle of Man native crashed his Tyco BMW S1000RR at Churchtown, during the first lap of the qualifying session, which was subsequently red-flagged and stopped. According to a statement by the ACU, which sanctions the TT races, Kneen died at the scene of the incident. What happens when an immoveable object joins forces with an unstoppable force? The result might look like the latest news from the Isle of Man TT, where this year’s race will see Michael Dunlop onboard with Tyco BMW. Of course, Michael Dunlop is a top favorite to win at this year’s TT, and the Tyco squad is certainly no stranger to making the BMW S1000RR go lightning fast around the Mountain Course. To make matters worse for the competition, the BMW S1000RR is already a machine that Dunlop has shown good results with, in past TT fortnights, and as such we expect big things from the collaboration. Racing for the 2017 Isle of Man TT finally got underway on Sunday, with the RST Superbike TT (often called the “Junior TT” by regulars, in contrast to the final Senior TT of the fortnight) getting underway. The race framed an important narrative for this year’s TT, pitting Ian Hutchinson and Michael Dunlop against each other. 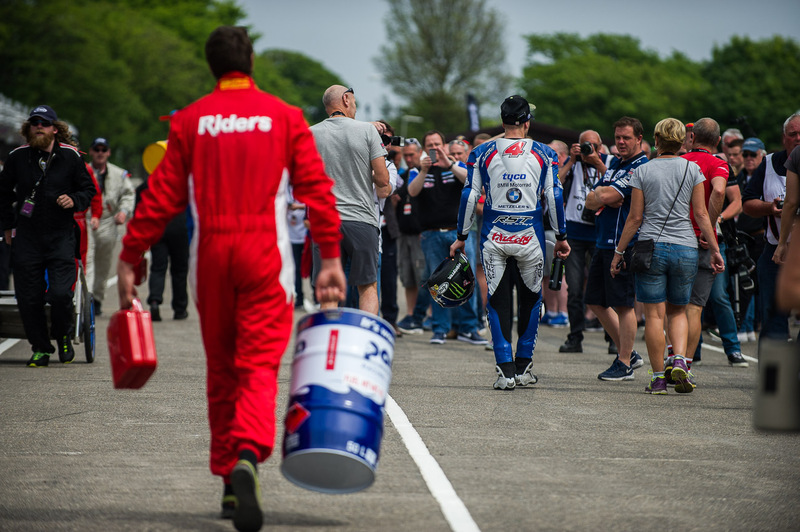 With Hutchinson on the race-proven BMW S1000RR, the question marks go to Dunlop, as he campaigns this year’s big-bike races on the new Suzuki GSX-R1000R superbike. So far in the practice sessions, both riders have shown considerable pace. Michael Dunlop is all smiles after his record breaking win in the Superbike TT. John McGuinness at Union Mills. Ian Hutchinson couldn’t match the blistering pace of Michael Dunlop and had to settle for second place. The 2016 Isle of Man TT got off to a blistering start today, with two riders in the Superbike TT breaking the outright lap record on the very first lap, from a standing start no less. Ian Hutchinson was the first rider to break the outright lap record, which was set by John McGuinness during last year’s Senior TT race, with a 132.892 mph lap. The record would be short-lived though, as Michael Dunlop was hot on Hutchy’s heels, with a 133.369 mph lap performance on his Hawk Racing BMW S1000RR. The first ever TT lap under 17 minutes, and the first ever lap that averaged over 133 mph, Dunlop’s performance during the Superbike TT was nothing short of dominant…and he wouldn’t stop there. Upping the ante on the second lap, Dunlop benefited from less fuel and put down another scorcher – a 133.393 mph lap. It’s been seven perfect days of weather at the Isle of Man TT, which is a rarity for the island nation, which sits in the turbulent Irish Sea. That has boded well for Saturday’s opening race, the RST Superbike TT, as riders have been putting in scorching laps so far this practice week. All expectations were for a record lap to be set, especially after Ian Hutchinson set an “unofficial” outright lap record the day before during practice, but the question was from whom would the record be broken by officially, as a number of riders were showing good race pace. We suppose someone would be crazy enough eventually to try it, and today we get confirmation that Bruce Anstey will be racing a Honda RC213V-S in the Superbike TT and Senior TT races at the 2016 Isle of Man TT. The MotoGP bike for the streets will be part of the Valvoline Racing by Padgett’s Motorcycles Team, and is a product of the Isle of Man TT’s looser rules when it comes to homologation requirements. The move is a clever one, as straight out of the box the Honda RC213V-S stacks up quite nicely against even the most highly prepped racing superbikes at the Isle of Man TT – boasting a 210hp figure with the sport kit installed, and a 390 lbs mass when ready-to-race. A team with a proven track record at the Isle of Man and developing street bikes for road racing, the Padgetts Honda squad has made some modifications of their own to suit the RC213V-S for the Mountain Course’s trials. Still, the Honda RC213V-S alone won’t assure Antsey of a race win, though it certainly will add some spice to the rider lineup before they head down Glencrutchery Road.